On 9th April 2014 GF will role out of the 4.5 update on the European servers. Included in this is the second specialisation for the Engineer, the Rider. You will be able to travel with him on a powerful mech and teach your enemies the meaning of fear! Treats for all! Between the 3rd and 7th March 2014, the Game Masters will be visiting the servers and presenting you with tasty transformation sweets. Just what will you transform into? To celebrate our 2nd anniversary, Gameforge ise gifting us additional Coins when topping up our premium currency in the AION shop on the 28th February 2014! Top up between midday and midnight on 28th February and you will receive 35% more AION Coins. Top up for the first time ever between midday and midnight on 28th February and you will receive 50% more AION Coins. 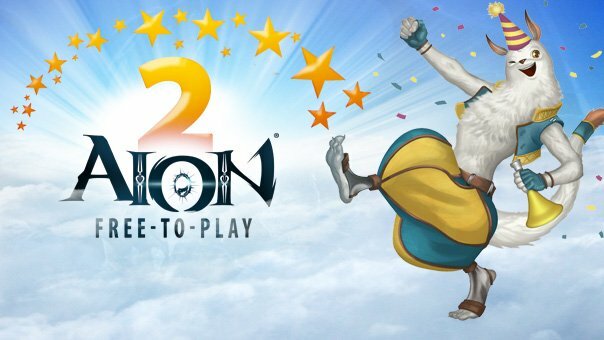 Source: 2 years of AION Free-to-Play on Official Aion EU page.